TIMES WATCHDOG: “How bad does it have to get?” staffers at Western State Hospital asked after several brutal attacks on nurses. Once on the decline, reported assaults on staff are up sharply. The rise comes as more patients who were once charged with crimes are being transferred to civil wards. Day after day, the teenage patient at Western State Hospital showed flashes of violence. On Jan. 29, he hit a fellow patient bending down to fix his shoe, and punched a staff member repeatedly in the face, “inflicting blood injury to the mouth,” according to excerpted chart notes entered into a court record. Finally, on Aug. 26 came the attack that profoundly shook staff at the state’s largest psychiatric hospital. The patient, now 19 and 260 pounds, allegedly punched a nurse in the face and repeatedly stomped on her face, leaving her so bloodied that a nursing supervisor thought she was going to die. She didn’t. 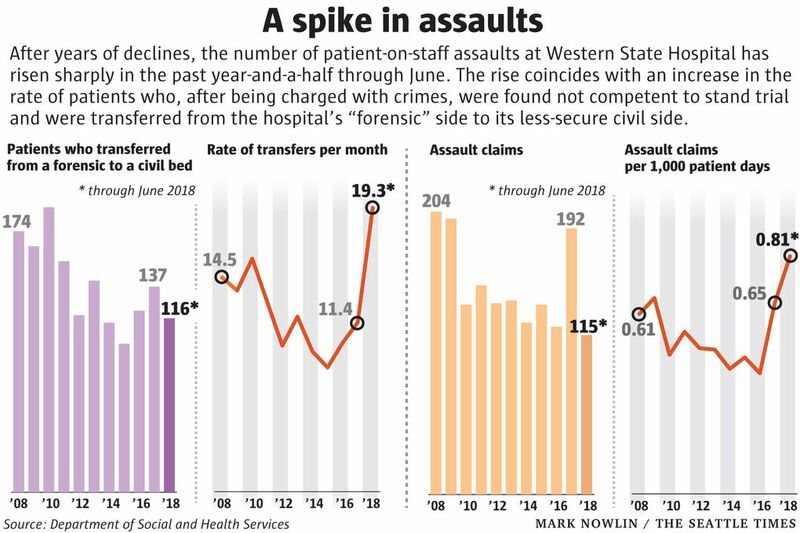 But the attack illustrates a sharp increase in patient-on-staff assaults at Western State, despite tens of millions of dollars the state has spent trying to fix problems that have plagued the 850-bed hospital for decades. The issue was thrust into the spotlight again last Sunday when a patient allegedly vaulted over a nurse’s station, started choking her and bit off part of an ear lobe. After years of declining violence, patients are now attacking staff at the highest rate in a decade, even as reports of attacks on other patients have generally gone down, according to records reviewed by The Seattle Times. In the first six months of 2018, staff members filed 115 assault claims with the state, more than double the rate from just two years earlier, according to the Department of Social and Health Services. The average number of these flips per month rose roughly 70 percent in the first half of 2018, compared to the year before, according to a Times analysis of data obtained through a public records request. The patients involved in the Aug. 26 and Sept. 30 attacks, living in civil wards, previously had spent time in the forensic wing, according to court records. Some among the 2,400-member staff at the Lakewood hospital say such transfers bring more dangerous patients into wards ill-prepared to handle them — worsening risks already present due to persistent staffing shortages and what one psychologist calls a “huge disconnect” between management and front-line staff. 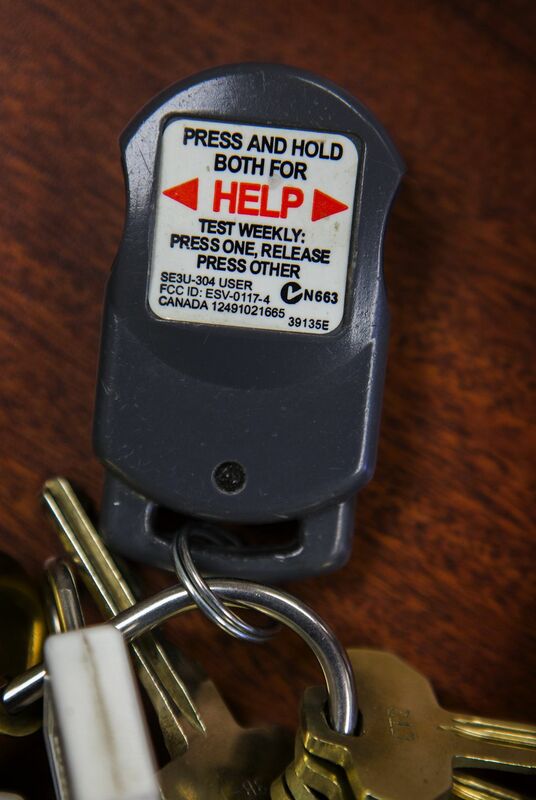 Hospital officials, who say flips are out of their control, did not have a breakdown readily available of how many of the assaults were committed by former forensic patients. But the officials dispute a connection between the two trends. They blame the uptick in violence on a younger and increasingly troubled patient population, though that shift has been occurring since the 1970s. The violence poses a daunting challenge for new CEO David Holt, Gov. Jay Inslee and the state’s strained mental-health system. 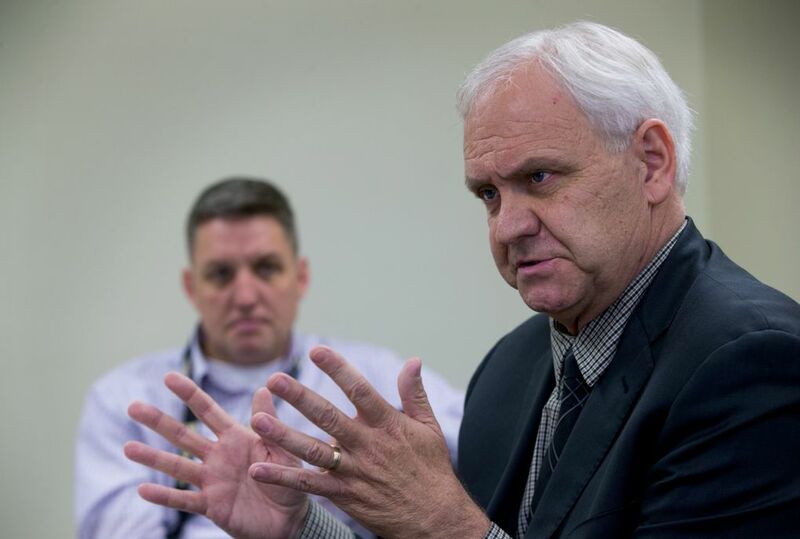 In June, Western State lost federal certification and $53 million a year in funding after inspectors found an array of problems with safety and patient care. The hospital is also under enormous pressure to admit people languishing in jails as they await a mental-health evaluation or treatment meant to restore their competency. The state has accumulated $77 million in fines for violating a 2015 federal order that requires it to make room for these forensic patients at its hospitals. 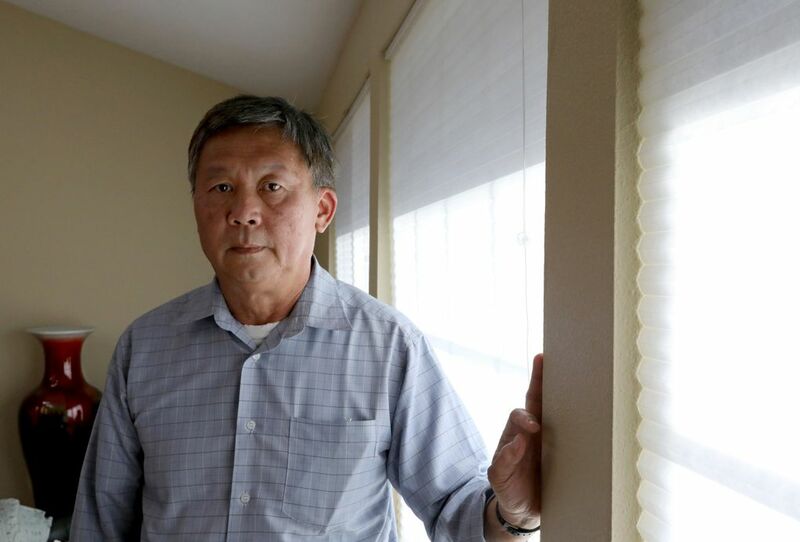 Meanwhile, Western State is working to fill more than than 100 vacancies for nurses, technicians, psychiatrists and others who deal with patients the most — a task made more difficult by the bloody assaults. It’s a vicious cycle, since many say inadequate staffing is a big reason they occur in the first place. As part of a plan to revamp the state’s mental system, Inslee intends to move civil patients into community facilities and reserve Western State mostly for forensic patients. This will allow it to focus on those with the highest needs, according to Tara Lee, a spokeswoman for the governor. After the latest attack, she said Inslee remains “deeply concerned” about staff and patient safety. Yet some staffers feel the administration’s wake-up call has yet to come, said the psychologist, who like several others interviewed for this story asked not to be identified because they feared retaliation from management. “Wow, what’s it going to take? “How bad does it have to get?” the psychologist said colleagues have been asking. TWENTY-SIX YEARS AGO, as a recent nursing-school graduate, Saw arrived on Western State’s sprawling campus, encompassing 228 acres and 58 buildings, including a library, arts center and morgue. Saw said he has mostly found the patients to be “very, very likable” — seeking out staffers to tell jokes or talk. He takes pride in being able to brighten patients’ days, arranging activities like bingo and karaoke. “Some of them are really quite good,” he said. 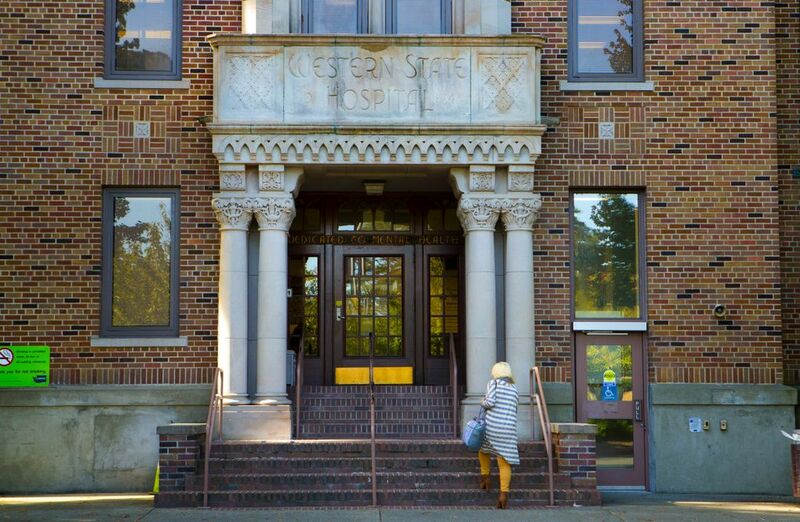 Patients had lives before they came to Western State, and talents. One man there now used to have a pottery studio and churns out brightly painted vases in the arts center. Still, patients lash out occasionally. “Usually, it’s just a slap,” Saw said, adding he understands anxiety or paranoia is often to blame. Around 2015, though, he approached a volatile patient who was dodging a staff member assigned to stay close to him. Saw told him to stop. “He punched me right here,” Saw said, pointing to his right eye in his Lakewood home. A picture from the time shows a plum-sized swelling beneath the eye, pushing it nearly shut. He stayed home for nearly two weeks. The effects of an attack, physical and emotional, can linger longer. It took a month-and-a half for one psychiatrist, put in a choke hold by a patient until he blacked out, to work up his nerve to come back. The assault data reviewed by The Seattle Times does not categorize attacks by the level of violence. But some staff members say it’s not just the number of assaults on staffers, but the severity, that seem to be rising. Staff have to say no to patients, and that’s what most often provokes an attack, said Western State’s deputy chief executive officer Sean Murphy, previously in charge of security. VIOLENCE IS NOT UNIQUE to Western State. “I don’t know any state hospital that it’s not a problem, although the severity of it and the attention that’s paid to it vary tremendously,” said Joel Dvoskin, an Arizona psychologist and consultant to institutions nationwide. Even on the civil side, he said, many patients in such facilities have been judged a danger to themselves or others. Since 1970, they have also gotten younger, and more likely to be uneducated and unemployed, with histories of jail time, trauma, abuse and drug addiction, according to a study by the National Association of State Mental Health Program Directors Research Institute. As community and private facilities draw more patients, state hospitals are also left with more forensic patients, the study said. Such patients don’t necessarily pose a greater threat than civil ones. Dvoskin points out that one forensic group — found not guilty by reason of insanity — usually haven’t been accused of anything for years because they have been confined for so long. But others are still awaiting the resolution of fresh criminal charges. Take the 19-year-old charged with stomping on the nurse’s head. He was accused in summer of 2017 of kicking out the windows of a Redmond bus stop and punching a police officer. He had received mental-health services since he was about 7, had been diagnosed with PTSD and other illnesses, and was hallucinating, prompting an evaluator to suggest the teen was having a psychotic break. He was deemed incompetent to stand trial, and a judge sent him to Western State to see if treatment could make him competent. It did not, nor did his violence abate, though he received six new medications during the months he spent there. A judge then ordered that he be evaluated for civil commitment. Holt and Murphy say they can’t fully account for why more and more patients are being “flipped” in this way. Dismissal of criminal charges and civil commitments are up to judges. But they say they have been working to free up beds that can be used for forensic patients, as required by the court order, by getting civil patients ready for discharge to community facilities. The hospital has so far converted about 45 civil beds to forensic and plans to covert another 90 next year. More forensic patients in the door eventually means more transfers, administrators say, causing more anxiety among front-line workers. “My staff and I are extremely fearful to show up to work sometimes just because we don’t know what we’re getting ourselves into,” said Pauline Dural, a nurse in a civil-admissions ward that has lately become dominated by forensic patients. Whether forensics patients are actually more dangerous or not, fear can lead staff to subtly treat them differently, possibly triggering a reaction, said the psychologist interviewed by The Seattle Times. Administrators could help by giving out more information about forensic patients, and by sending experienced staff — not those right out of school — to challenging wards, the psychologist said. Yet there aren’t enough staff, period, say many who work there, pointing out that many of hundreds of people hired in recent years filled administrative and other positions not related to direct care, which hospital officials confirm. “Some would argue we have a robust staffing level,” Murphy said, though he conceded there are times when the hospital is short-staffed. A huge number of people routinely call in sick or take days off, he and Holt said, and they are looking at a different staffing model to mitigate that. Saw described a deeper problem, especially on weekends. On the night of the Aug. 26 attack, a Sunday, not only was he missing staff, he said, but he was responsible for four wards — 120 patients in all. Typically there is one nursing supervisor per 30-patient ward. THE ASSAULTS DEFY a number of strategies Western State has taken to reduce violence, including creating multiple teams for that purpose; better staff training; seeking to get new, often unmedicated patients treated as quickly as possible; and looking at its “top 10” assaulters and top 10 most violent wards, Holt and Murphy said. On a tour, the administrators showed off a civil ward where, unlike at the hospital as a whole, violence has dropped. 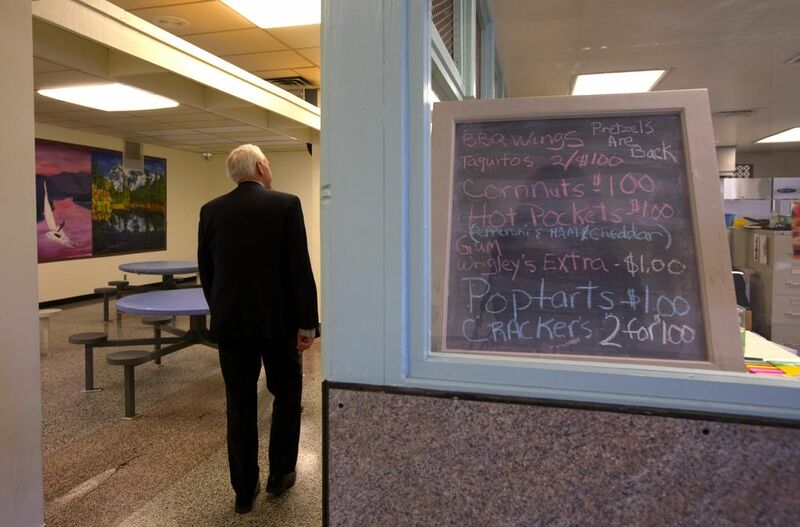 It uses a new incentive system that gives patients credit at an on-site cafe where they can buy lattes, smoothies and other snacks. The ward, which once had as many as 15 assaults a month, now sees about three, said its administrator, Susan Holmgren. More recently, Holt said, he has begun to act on staff ideas. He is considering whether to enclose open nursing stations, like the kind jumped over in last Sunday’s assault, with Plexiglas. He said he is also planning a ward for particularly assaultive patients — though funding has yet to be approved — and sending the worst offenders, those who intentionally hurt others, to jail. That isn’t always an option now. Nearby Pierce County jail declines to take defendants who need mental-health services it deems it can’t provide. 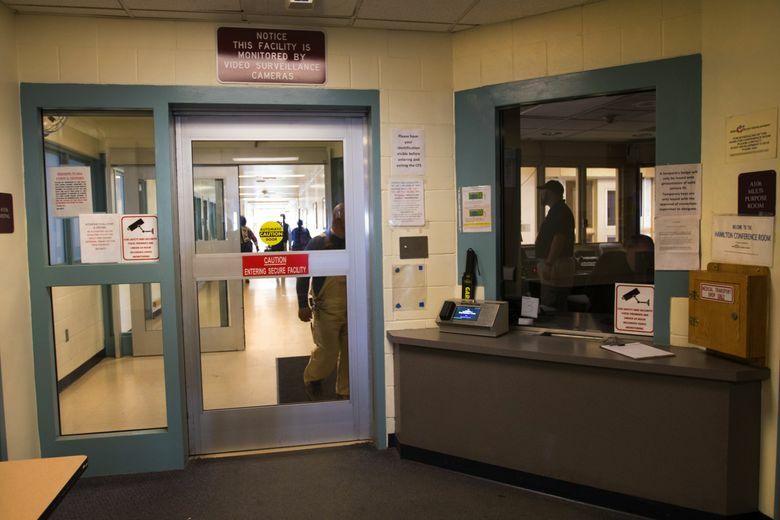 Western State has been talking with Patricia Jackson, chief of the county’s Corrections Bureau, to determine which facility should take which patients. The patient accused in the Aug. 26 attack now sits in jail. A mental-health evaluator wrote a report for the court on Sept. 7, taking into account Western State notes from July and August saying the 19-year-old was “stable” and “showing zero active symptoms” of a major mental illness, even though he was allegedly about to commit his most brutal attack. The treatment team at the hospital knew him best, the evaluator wrote, suggesting his condition may have improved in part because of medications he got at the hospital. Psychiatric flare-ups tend to be episodic, she noted, and his condition could worsen. But for now, after an interview in which he seemed coherent, she recommended he be deemed competent to stand trial. A judge so ordered and set a trial date for late October.